Dr. Richard J. Fruncillo has over 30 years experience in clinical practice and research. He is board certified in toxicology, internal medicine, and clinical pharmacology, and has a Ph.D. in biochemical pharmacology. Dr. Fruncillo was formally the head of Wyeth's clinical research unit in Philadelphia, PA, where he was principal investigator for over 200 research studies. He has taught pharmacology and toxicology to medical students, graduate students, and pharmaceutical professionals at Hahnemann University and Thomas Jefferson University. Dr. Richard J. Fruncillo has been a consultant to the legal profession in the greater Philadelphia region for over 25 years. His particular areas of expertise are: Pharmaceutical patent litigation, Drug interactions, Pharmacokinetics, Toxicology, Dosing errors, Errors in drug choice, Drug adverse reactions, Pain management, Drug overdose, Drug concentration-effect relationships, Chemical/toxin exposure, Blood alcohol correlation, Post-mortem drug level interpretations. Dr. Richard J. Fruncillo is available to review legal cases for plaintiffs and defendants. If necessary, he will provide written reports, and testify under oath at depositions or at trial. He is also available for pharmaceutical patent litigation. 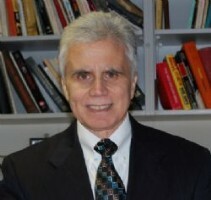 Dr. Fruncillo is unique in that he has a very strong background in both the basic sciences (organic chemistry, mathematics, mechanistic toxicology, drug metabolism, mechanistic pharmacology, pharmacokinetics) and clinical sciences (internal medicine, clinical pharmacology, clinical toxicology, clinical research). He is well positioned to review your case from many different aspects, and give a quick, medically and scientifically accurate, unbiased opinion. As a former teacher, lecturer, and normal volunteer clinical investigator, Dr. Fruncillo has an excellent ability to communicate complex medical and scientific issues in simple, understandable language. Some examples of cases that Dr. Fruncillo has reviewed over the last 27 years are: mercury, benzene, nickel, TCE, toluene, phenol exposure, antibiotic drug toxicity, antipsychotic drug toxicity, antidepressant drug toxicity, cardiovascular drug toxicity, warfarin, heparin toxicity, lithium toxicity, pain management malpractice, corticosteroid toxicity, nonsteroidal anti-inflammatory drug toxicity, serotonin syndrome, malignant neuroleptic syndrome, narcotic drug interactions/toxicity, antianxiety drug toxicity, local anesthetic toxicity, driving under the influence, wrongful death due to drug overdose, paint exposure/toxicity, cocaine toxicity, PCP toxicity, aspirin overdose, THC (marijuana) blood level correlations, pharmaceutical patent litigation. Dr. Fruncillo has authored or co-authored over 70 scientific publications, abstracts, and book chapters in the areas of drug interactions, pharmacokinetics, drug metabolism, toxicology, and pain management. For a complete list view curriculum vitae on website. Dr. Fruncillo has been employed as a consultant nationally and internationally. He has worked for drug development companies as well as US Attorneys, Public Defenders, and plaintiff and defense Attorneys involving class action suites, patents, medical malpractice, product liability, and family court.